Pinterest Vs Google Images- Who's Violating The Copyrights? Pinterest has been a hot topic now days with its amazing new idea of pining images and bookmarking websites/blogs with an image reference. This certainly is a unique idea and is paying back Pinterest developers team. Just like Facebook, Twitter and Google+, Pinterest is another social media platform. But thats all about what they share in common. Pinterest keyword has been spreading throughout the Internet like a fire. Its basically an image pin board where you get a profile just like other social platforms and you get to create image categories. So the moment you would visit a certain blog and likes a certain picture, say an infographics, you can use pinterest pin button (if available on the blog) or you could install one for your browser. Your browser would fetch the image and you could then add that particular picture in any of your categories. 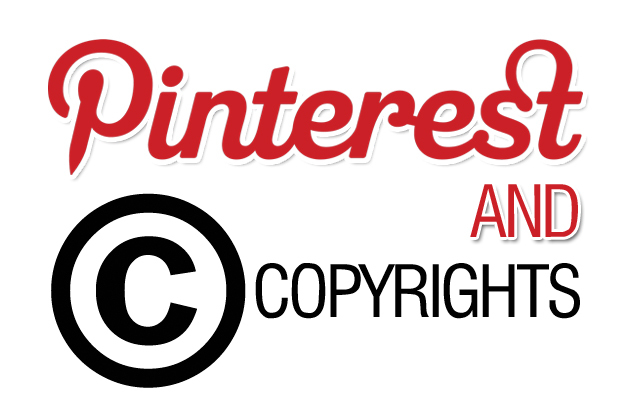 How Pinterest Violates Image Copyrights? Though this topic has been controversial since the launch of the newly sky-rocketing social pin board, many believe that there is nothing much the platform can do about. Even though the pinterest 'term and conditions' clearly notifies the user that they should not pin any copyrighted images, but still very few follows the law. you represent and warrant that: (i) you either are the sole and exclusive owner of all Member Content that you make available through the Site, Application and Services or you have all rights, licenses, consents and releases that are necessary to grant to Cold Brew Labs the rights in such Member Content, as contemplated under these Terms; and (ii) neither the Member Content nor your posting, uploading, publication, submission or transmittal of the Member Content or Cold Brew Labs’ use of the Member Content (or any portion thereof) on, through or by means of the Site, Application and the Services will infringe, misappropriate or violate a third party’s patent,copyright, trademark, trade secret, moral rights or other proprietary or intellectual property rights, or rights of publicity or privacy.. In fact its pretty obvious to see, that who really shares 100% of their own material in todays online arena. Once the item is thought to be part of the online world, its available to every individual sitting behind the computer screen. The new social platform is thought to be a heaven for copyright issues in the future. What Pinterest Could Do About It? Even though most of us realize that there nothing much the developers team can do about it as it would be like cutting down the newly built social media its self. Though there are certain steps that Pinterest could take, that Google Images have already implemented to deal with the copyright issue. When ever some one pins an image from a site/blog, Pinterest not only keeps its thumbnail for the displaying purpose, but the entire (full copy) of the original image its self (or in some cases a cropped one to high resolution) as opposed to Google Images. So even if the author of the image later on deletes the image from their site, Pinterest still shows up the image. Thus there is nothing the Creator/owner of the image can do about once their images have been pinned by someone. What Does Google Images Do For The Purpose? Google doesn't keeps the original copy of the image, and instead uses the thumbnail. Secondly if the image is deleted from the blog/site, Google through the image out of their servers too. So the control still lies in the hand of the owner. Even though i don't really believe that in today's online world, there is a chance to minimize copyright issues as its a kind of free space where every thing belongs to every body, once its out in the arena. BUT still, as a firm, Pinterest could follow Google Images strategy and should abide by keeping the original copy of the image. Even if they do, it needs to be deleted once the source blog removes it too. How can Pinterest effect the lives of Photographers/artists etc in the near future? Would love to hear your thoughts. BloggingeHow | Making Blogging Simpler: Pinterest Vs Google Images- Who's Violating The Copyrights?